This recipe is from the Athens, Greece booth at the 2009 Epcot International Food and Wine Festival. Drizzle the salad with lemon juice and olive oil; sprinkle with oregano. Toss until ingredients are well coated with the dressing. Season to taste with salt and pepper. 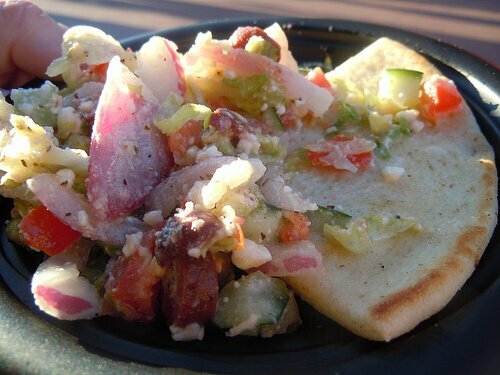 Divide the salad on 6 plates and serve with warm toasted pita bread.